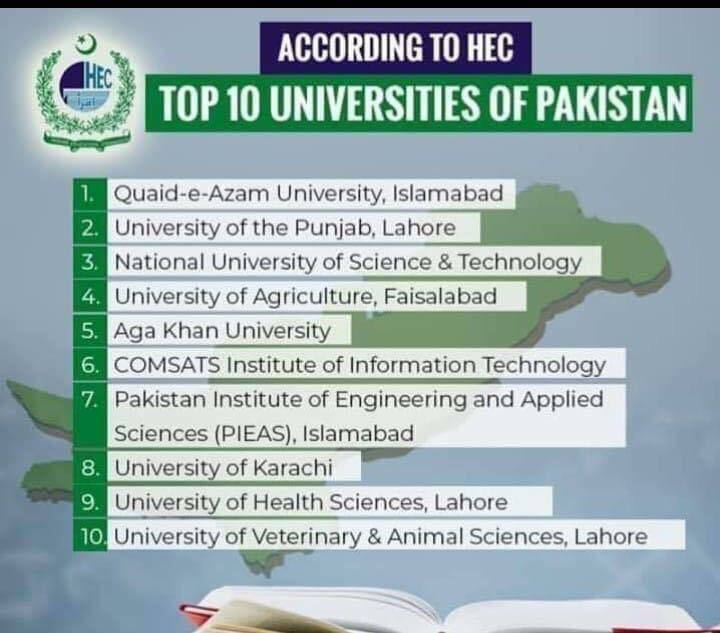 According To HEC, These Are The Top 10 Universities Of Pakistan For 2018-19! The throbbing population in Pakistan, demands the better infrastructure and quality of life. With the new government and new system, things are changing and that change is better than ever. Imran Khan’s sole motive after he moved into politics was his welfare work. His work in the field of education and health is known by everyone, he even invited people from other countries to fund his motive, so he could do something for his people. Education is something which the PM Imran Khan has emphasized the most. And it is a matter of utmost pride that Pakistan’s universities are making it up to the ranking of top Asian universities. NUST 87th rank in Aisa and 415th best in the whole world, while LUMS too was under 100 top Asian universities. 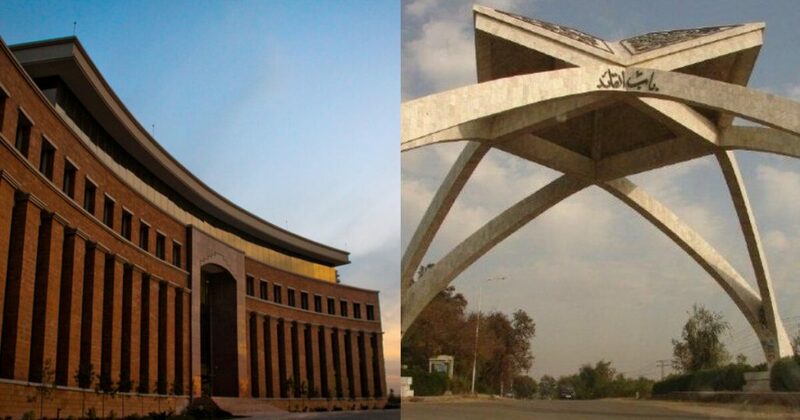 Apart from these institutions, Quaid e Azam ranked 3rd in the list of best Asian universities, it was placed 109th and UET, Univerisity of Punjab and Agha Khan were the other three universities to be ranked. While these Pakistani universities were ranked on the continent level, so here’s a list of these universities being ranked nationally! HEC’s ranking is recognized internationally! And the criterion upon which the universities are given score is authentic and cross-checked. 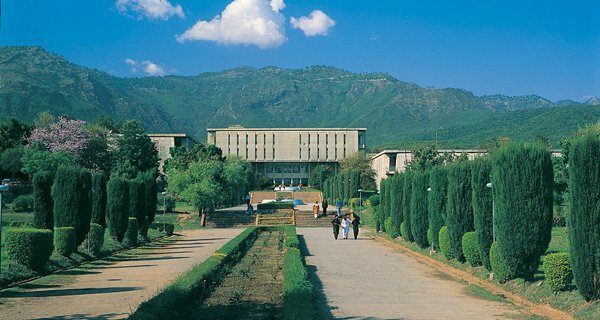 Quaid e Azam University always maintaining the top rank in the list of prestigious institutes of Pakistan. The institute holds a wide variety of departments, giving students a vast choice of fields to experiment with. QAU is known for it’s best faculty members and you know when you meet a QAU student; their demeanor is just different. Pakistan has many famous and esteemed journalists from QAU! 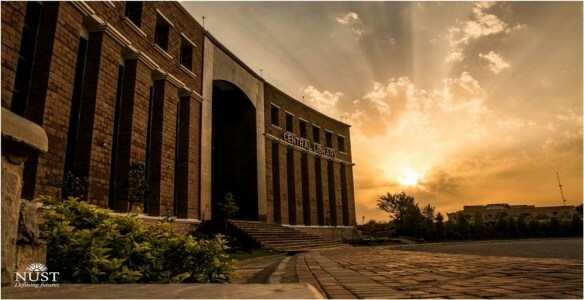 While NUST, which was ranked 87th in the list of top Asian universities, and 1st among Pakistani universities, was ranked third in HEC’s list. The beautiful infrastructure and its diversity is what makes NUST one of it’s kind. NUST produced the best engineers in every field! While the University of Punjab which was ranked much after NUST and QAU in the Asian list was ranked second on HEC list! Every year some universities top the rank and another loose some score and drop a few ranks. But either way, as long as the university is the list it matters. Did your university make it to the list? Let us know in the comments below!